who was it on here that was looking for that 2700ish target on this up move? think it was @Steven_Burt if i ain't mistaken? that was a nice call. LOL ^^^ I was looking for 2700. I was just about to post that I am looking for a good short entry now. Fed Chairman Jerome Powell came out with his strongest statement to date that the central bank is changing its tune on interest rate hikes. “The case for raising rates has weakened somewhat,” Powell says. The FOMC left its benchmark and said it would take a “patient” approach toward further hikes. I bet TSLA is a miss today. 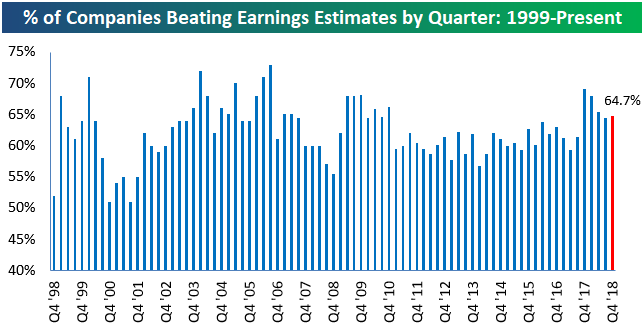 Not exactly what you're looking for here, but here are the percent of the companies who are beating est. 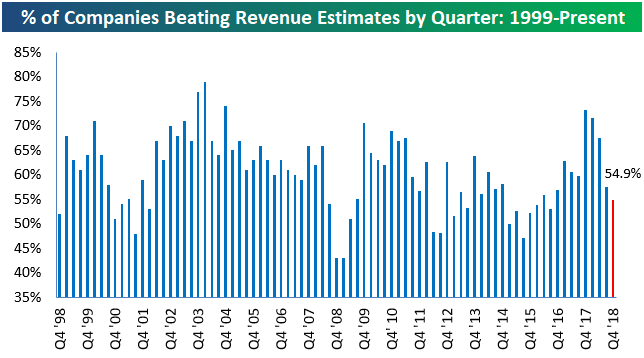 this quarter compared to prior quarters dating back to 1999...and bottom chart is percent of companies beating on revenue est. 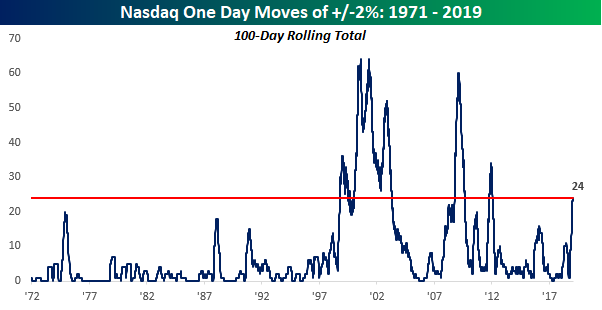 These 2 charts are not up to date as of today though, it's as of Friday. If I find the estimates vs. actual I'll be sure to post it here. Good Thursday to all. Welcome to month end trading! Hope everyone has a great trading day ahead today on this final trading day of January! 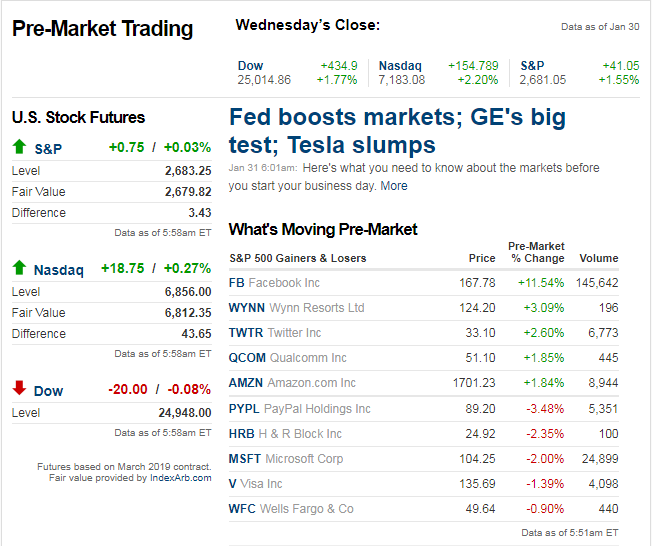 AMZN reporting today. See if it can go above the 200 ma. Cloud stocks like NOW and WDAY are moving up. And LITE is not so bad...but SMH resistance at 97. MSFT and V falling back below 200 ma after ERs last night. Nearing death crosses. Geez, that 2700 tag was too easy, algo's can be very helpful sometimes.